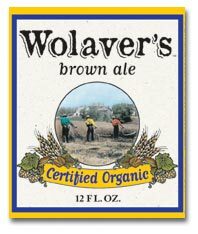 This brown ale pours a medium amber color (odd) with a frothy, light-brown head. Virtually no lacing and a mostly diminishing body contribute to the lack of a substantial aroma. Of what we could establish, all we picked up with hints of light yeast. Initial taste is lightly sweet, which continues through to the finish with a rather bland taste. Light on the mouth, it is initially watery, building to dry over time. Soft carbonation. Reviewed on June 29th, 2006.